Tempt your customers to buy more. It costs 5 times more to acquire a new customer than to keep an existing one. Use upsell and cross-sell to get your existing customers spending more. We track sales going through your website and create links between items frequently brought together. Visitors to your website push that all important 'BUY NOW' button, and make a purchase. We can display, email or SMS the customer personalized recommendations based on their purchase. Here's the stuff that makes our upsell & cross-sell emails fly. Cross-Sell Recommendations	Oh, but there's more! Dynamic Offers	Relevant offers for different customers. Dynamic Content	Purchase details are just the beginning. 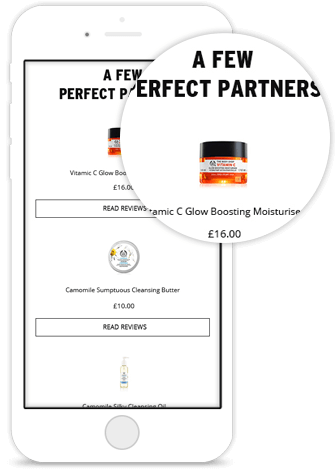 Sending your customers a selection of complementary items based on what they've purchased or other items they browsed is a great way to bring them back. Personalized based on purchased or browsed items. Display products from the same category. Use your customer's’ interests to create segments for highly-targeted and relevant offers. Offers to complement their purchase. Change offers based on gender or location. 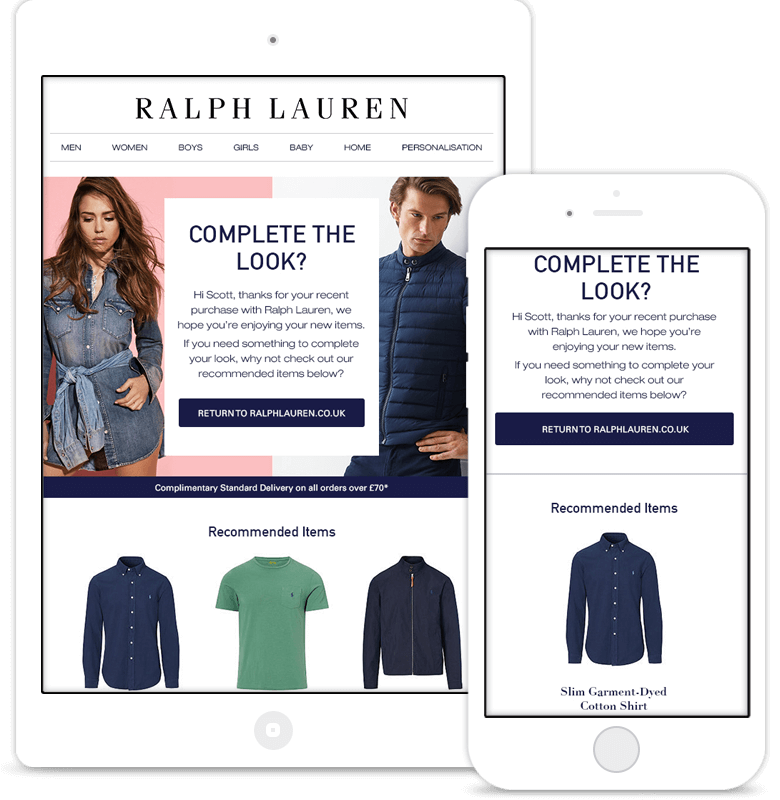 Deliver the most persuasive and relevant content in your emails based on who your customer is and what they purchased. Dynamic header images based on purchased items. 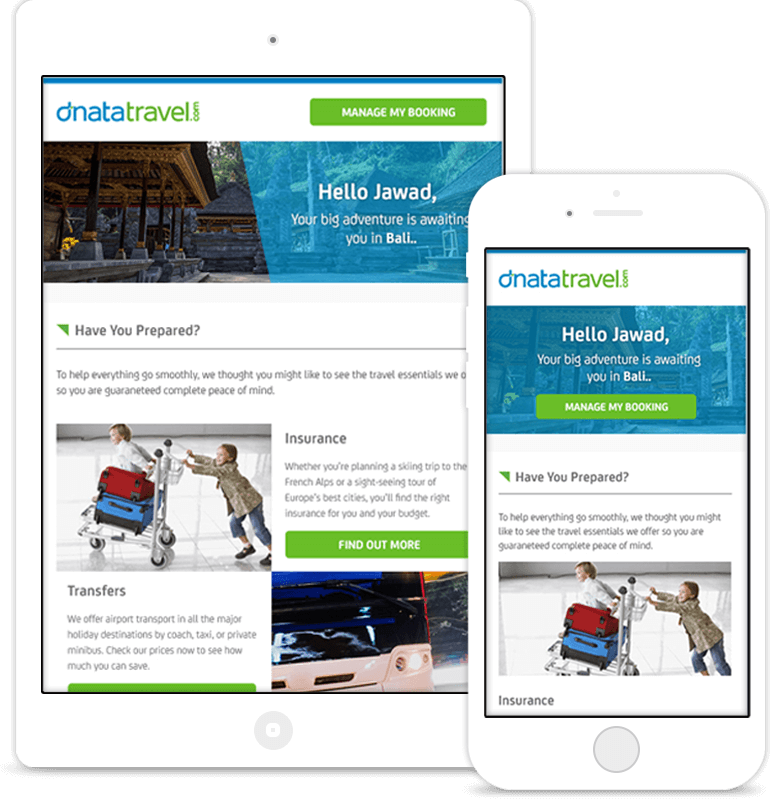 Change your messaging for new or returning customers. Display live stock levels on recommended items. Whether you're a reader, watcher or just prefer the visuals - we've got you covered. Top tips to driving more revenue and improving customer service. 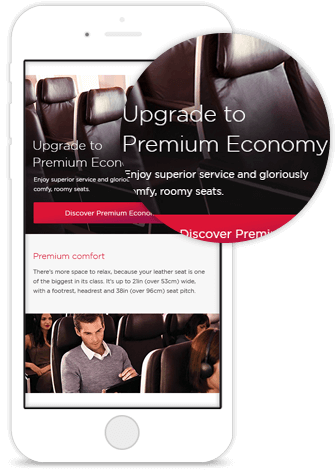 Up your personalization game not your resource with behavioural marketing. We’ll take you through what they are and what makes a great one. How to drive repeat purchases from customers. 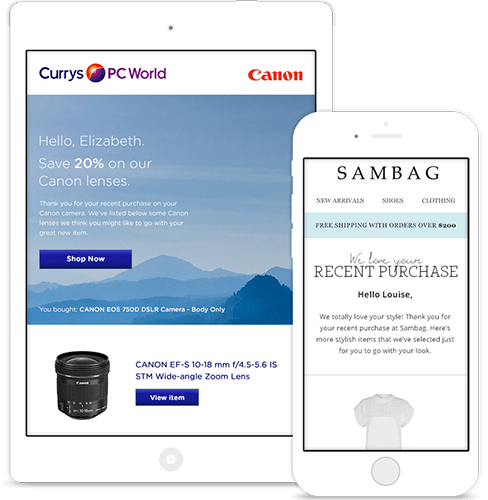 Emails that help both you and your customers get more from your website. 01 Can these be seen by all customers or only those influenced by SaleCycle? 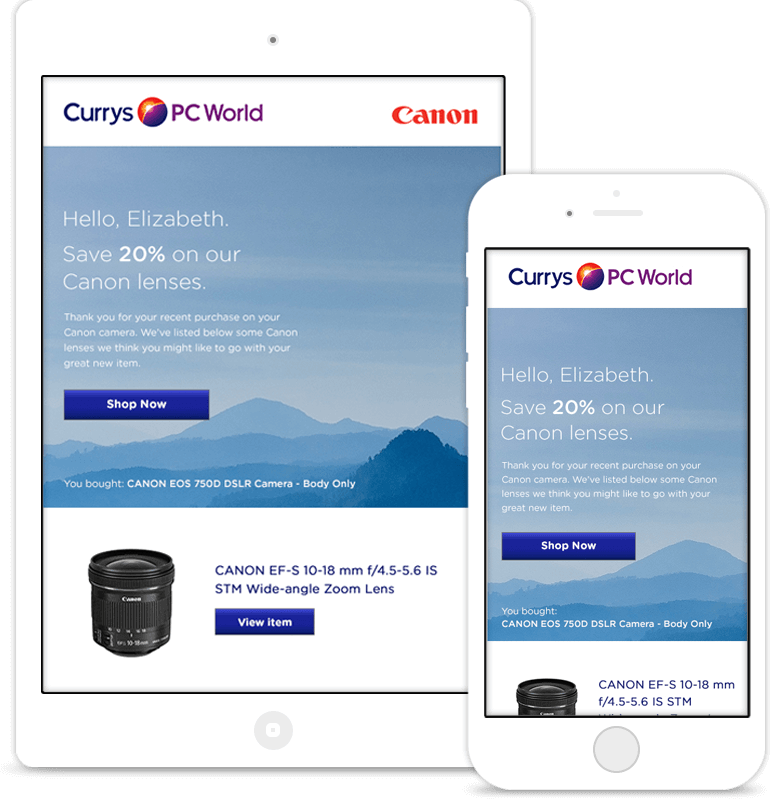 We track all sales through your website and can send upsell and cross-sell emails to any customer who purchases from you. 02 How soon after a purchase are the emails sent? It’s completely up to you. 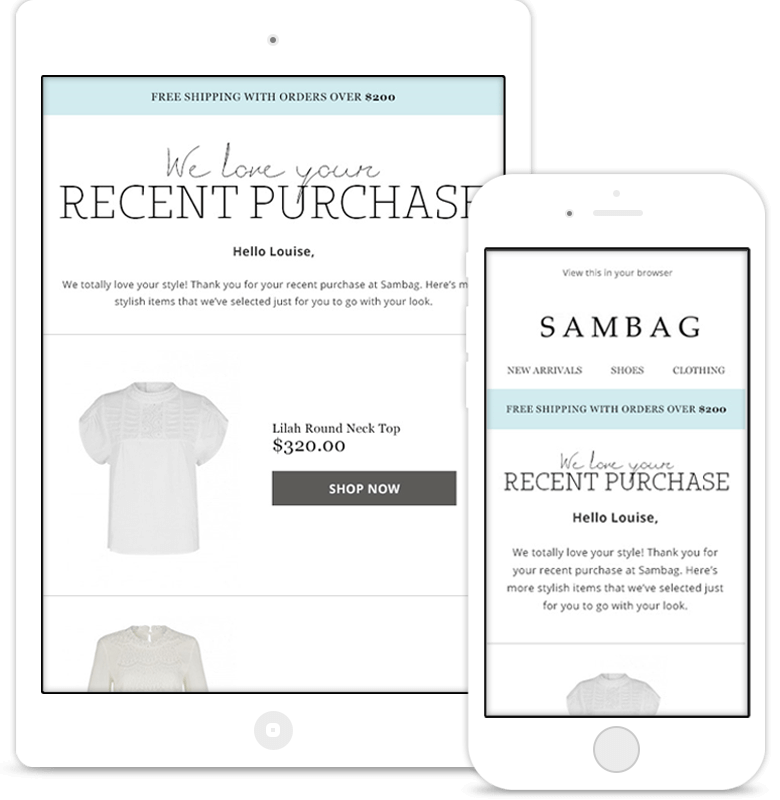 An email can be compiled and triggered immediately after a purchase is complete, or set to send after a specific timer period has passed from the transaction. 03 How is the personalized content chosen? We track all transactions on your website and create links between items often purchased together. We’ll take into account the items that we’re purchased and send the three most popular items that have been purchased with these by other shoppers. 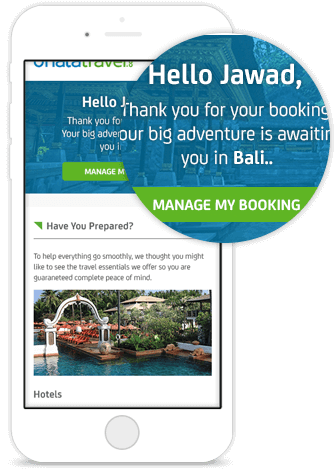 With open rates nearing 50% and an overall sales uplift of 7% – it’s relevancy that our customers clearly appreciate. 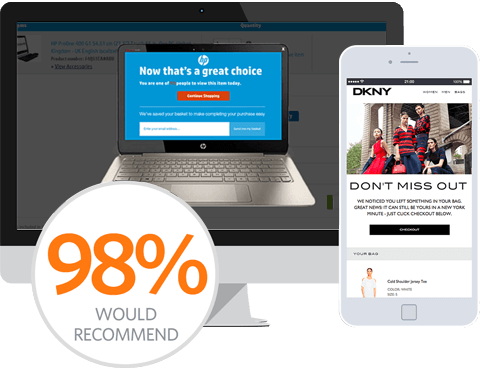 I wouldn’t hesitate to recommend SaleCycle to anyone looking to increase their revenue online.